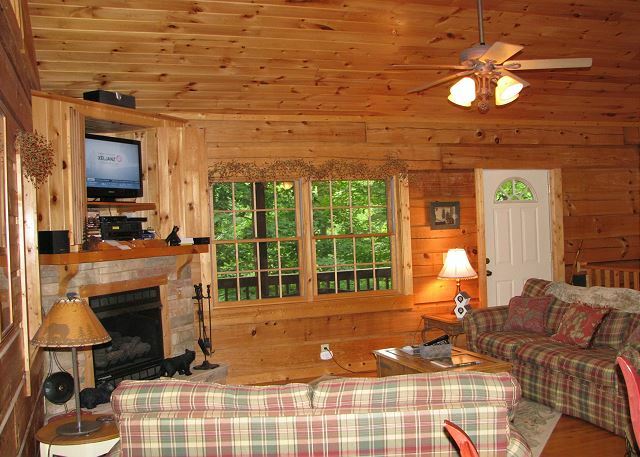 This accommodating 3 bedroom 3 bath two level log cabin offers lots of country charm to relax in. Enjoy easy entry along with a great location for enjoying the best the High Country has to offer. Minutes to the slopes at Appalachian Ski Mtn., close enough to hear Tweetsie, and just a quick hop over to Boone to catch an ASU game. Cathedral ceiling in the great room, tongue and groove walls add the perfect atmosphere to enjoy the stacked stone gas fireplace, TV with HBO and Cinemax channels, surround sound with MP3/Ipod hookup, BluRay DVD with Netflix capability, Pandora Radio. 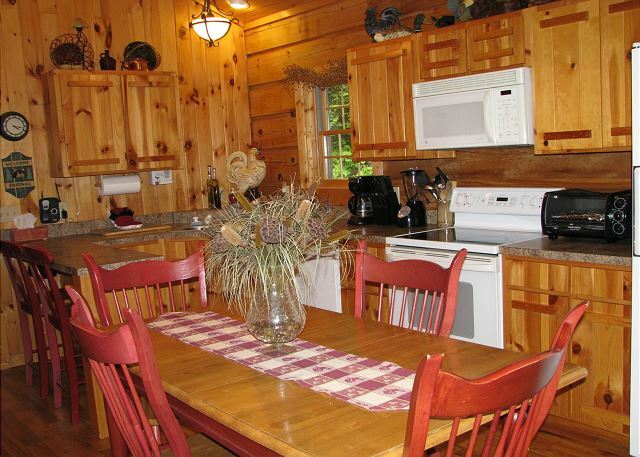 Well equipped kitchen with seating for two at the bar and six at the dining table and access to a covered porch. Master on the main level with a queen bed, hall bath. 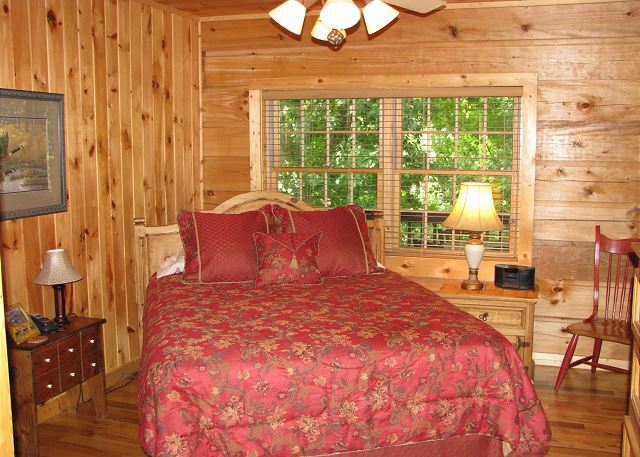 Two guest bedrooms are located downstairs with private baths for each, TV, access to additional covered porch. AC, Pet Friendly. Parking for 4 vehicles. Four wheel drive required in winter weather. Property maps may not be accurate on 3rd party web sites. Please contact the office directly for exact property locations. Stayed 2 weeks during October and November. We love the unit and its location. We have stayed here several times. I highly recommend Arbor Den Log Cabin! The house is fully stocked with anything you might need. Comfortable beds and plenty of space both inside and outside. Jenkins rental company is always wonderful to work with, they are helpful and friendly! I use them whenever we visit Boone or Blowing Rock. Perfect retreat while under construction on a remodel project on our newly purchased home. 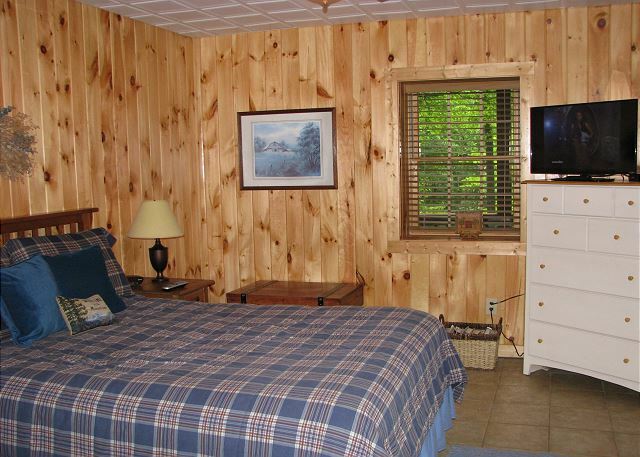 Very comfortable, good internet service, good mattresses, and a beautiful, secluded location. 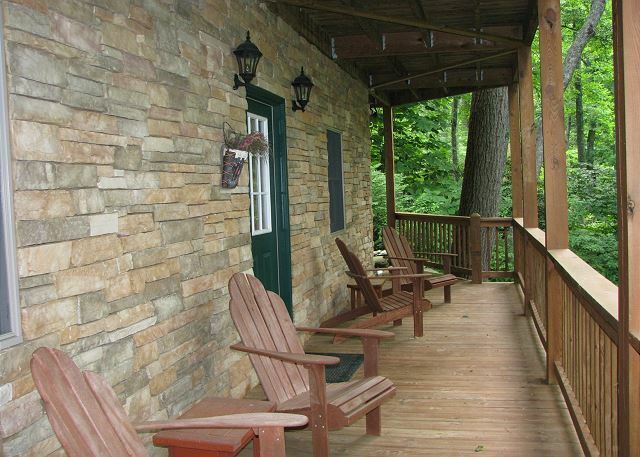 This is the second year that we have rented Arbor Den and we in fact added two additional weeks. 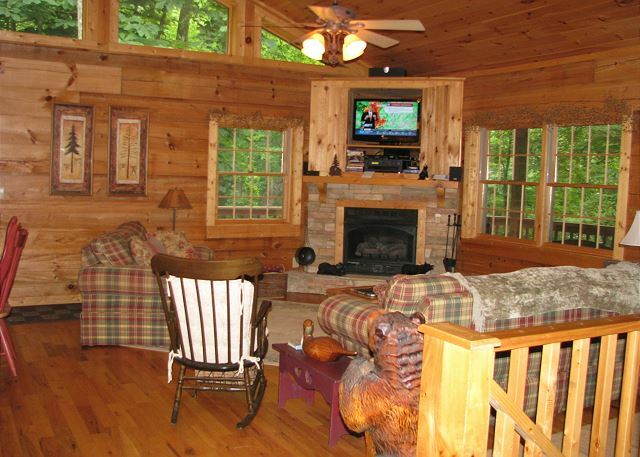 The log cabin is more like a home to us. Our Grandchildren love it and we enjoy the location. Was perfect. Close to everything. Private enough, quiet And pelenty of room for 2-3 couples w/children. The house is beautiful and well equipped to for anything you need. We will definitely be coming back! We had an adult weekend with three couples and had a blast! Part of that due to the Cabin itself-It was perfect with the three queen beds and a bathroom each. The kitchen was very well stocked and provided all we needed. Beds were very comfortable and the cabin itself was comfortable. Beautiful cabin. Very clean and cozy. We can't wait to go back! We really enjoyed our month long stay at Arbon Den Log Cabin. This was the second time we rented this property. 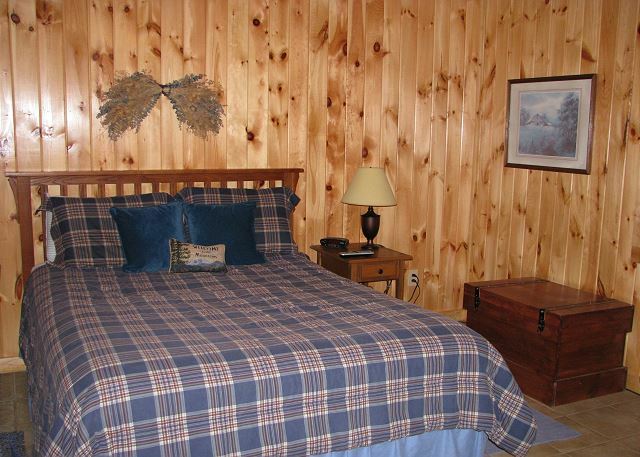 Very nice, well maintained, well stocked log home. The locations is also a plus in relation to close to Blowing Rock.Unfortunately this will be the last time we stay in this home FOR THIS TIME OF YEAR only. We had chains on our tires and still could not get up the Toni Road leading to the house the last night we were there. Thank the Lord for the plow truck, he gave us a lift and the next morning Jenkin's maintenance guy gave us a ride down to our Tahoe. We would rent it again in the Spring, Summer or Fall. Nothing wrong with with this home at all. We enjoyed staying there and cooked several meals in the well stocked kitchen. We had a wonderful time, and loved the home. It met all of our expectations and we will request it again. 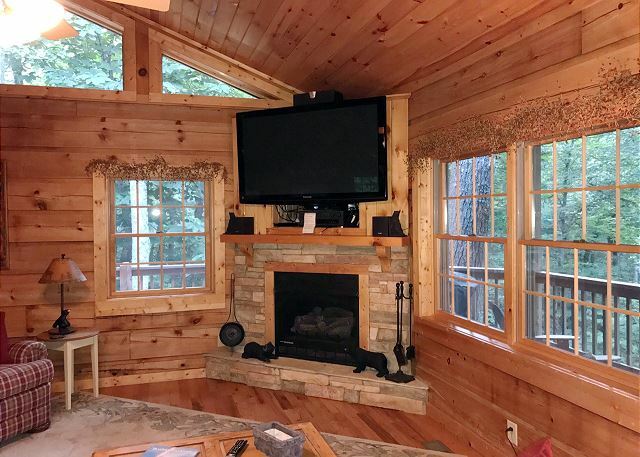 A lovely, well maintained cabin. We were in town with our family for a wedding. The weather was terrible, but this cabin was so comfortable and inviting that it made our weekend a pleasant experience. The condition was excellent and all the amenities made for a wonderful stay. 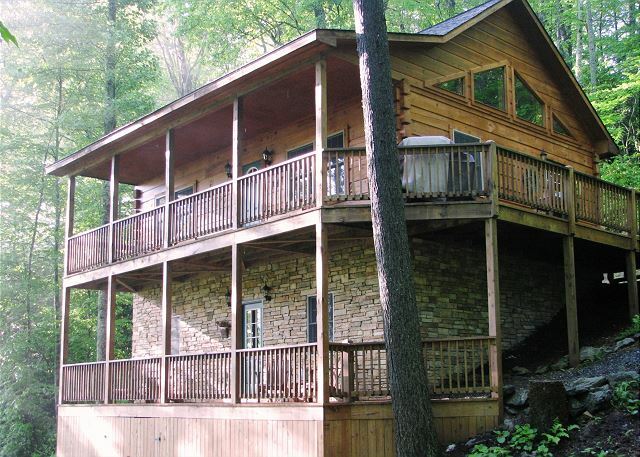 The location was perfect with easy access to Boone and Blowing Rock. My family and I had a lovely time at Arbor Den. The floor plan allows for everyone to have their own space. The property was spotless and very well stocked, not to mention it was fabulous sitting on that porch reading a book with no air conditioning. I bet it is just as nice in the winter with a cozy fire. It was hard to leave and we hope to come back soon. I have already recommended it to friends! We had an amazing stay at Arbor Den Log Cabin. It is very convenient to local shops, restaurants, and skiing. We loved the layout of the cabin and with four teenage boys, it felt like home. They were comfortable and so were Mom and Dad. When we arrived, we notice that the router wasn't working and called the realty company. They were quick to help us get the issue resolved, and we were able to purchase an inexpensive router at Walmart for which we were reimbursed. We had about 3 inches of snow over the weekend and did have a problem getting our front wheel drive mini-van up the hill, so we parked it at the bottom and walked up. (It was an adventure, and our boys LOVED it!) A 4 wheel drive would have been no problem. I would definitely recommend this cabin for large families. We are already planning a time to come back next year to ski. Thank you! We had a great time at the Arbor Den Log Cabin. The rental company was awesome. The cabin had everything we needed. It was very close to Boone but yet very quiet and peaceful. We would rent this cabin again in a heartbeat. FYI, the wireless mouse that was left on the side table by the loveseat was found under the loveseat....was left by a previous renter I assume. Thanks, we'll see if we can track down who it belongs to. A wonderful weekend at the Arbor Den. Even the rain couldn't spoil it. 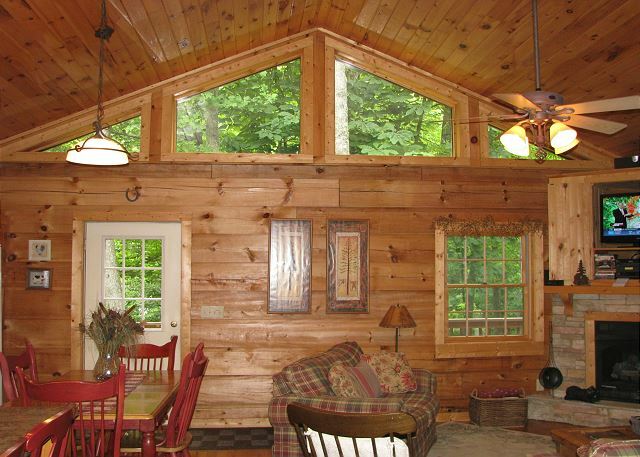 The Arbor Den Log Cabin was perfectly outfitted for 3 couples. My elderly parents (88 and 92) were very comfortable on the top floor (just 2 steps to deck entry) and my cousin and his wife and my husband and I enjoyed the 2 quiet, private and very comfortable bedrooms/bathrooms downstairs. It was very centrally located for the wedding rehearsal dinner at Chetola Lodge in Blowing Rock and the wedding held at Camp Sky Ranch, just about 2 miles away via gravel road. We loved that we could bring our dog! Blowing Rock is a wonderful, friendly town with lots of good shopping and restaurants. Our home away from home was perfect!!! 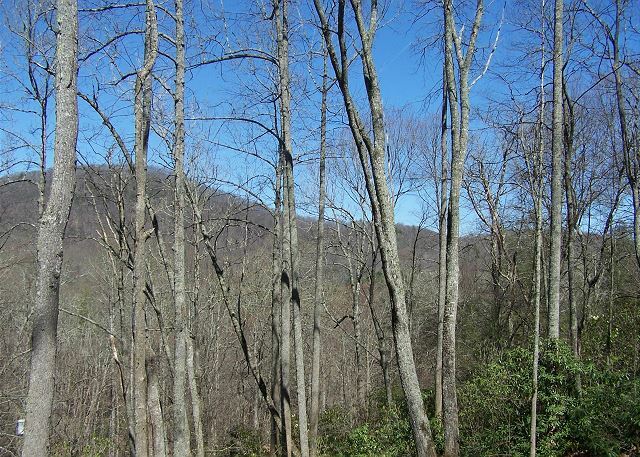 The house was located between Blowing Rock and Boone; either location was easily accessed! The house had everything one could ever want, and was clean and well maintained! Had a wonderful graduation celebration for my daughter and the cabin was perfect. Loved the bedrooms with baths downstairs and gave some privacy to those guests.